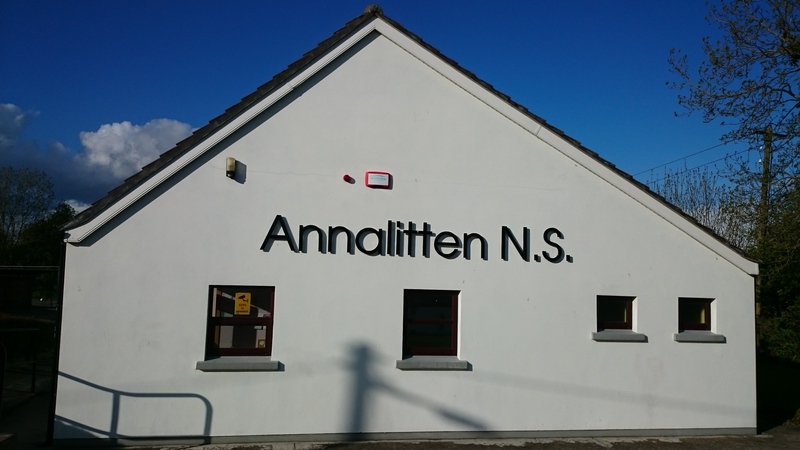 It’s fifty years since the pupils of Annalitten National School outside Castleblayney in the parish of Muckno made the big move from the Old School to the New School. To mark this milestone, the past pupils organised a school reunion on Saturday 27th June. The event marked the 50th anniversary of the move in 1965 to the current premises. It took place at the school at 4pm and many former students were in attendance, as was the Minister for Arts, Heritage and the Gaeltacht, Heather Humphreys T.D. 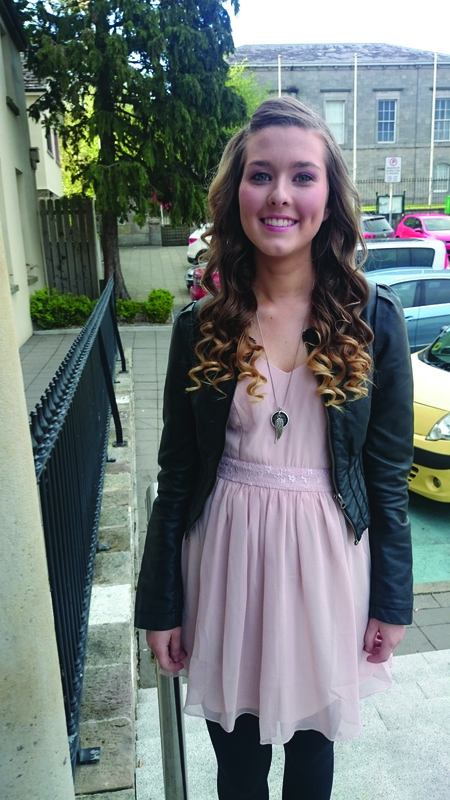 After the reminiscing at the school, a social evening was held at the Glencarn Hotel, Castleblayney. The organising committee put together a selection of photographs of people who went to Annalitten school. Annalitten is a two-classroom co-educational Catholic primary school with a fascinating history. Elizabeth Brannigan was one of the organisers of the reunion. Five generations of her family have attended Analitten school, including herself. If you were to walk past Annalitten’s fine National School, chances are you would hardly give a second glance to or even notice the adjoining car park. But this spot has a secret. 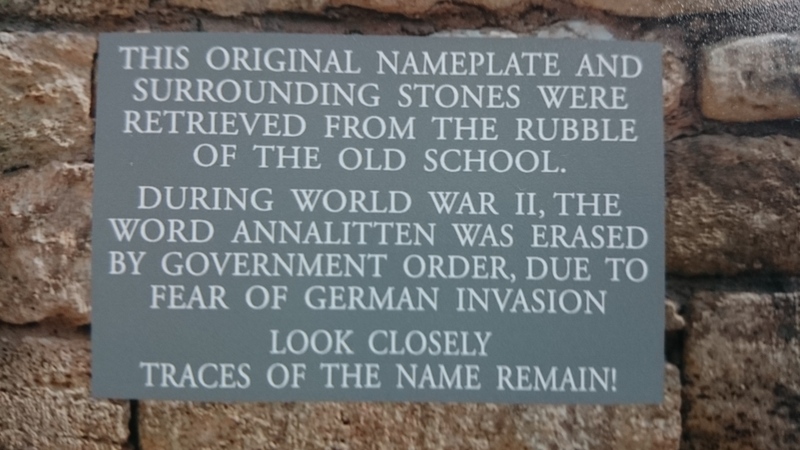 It was the site of a building with a remarkable claim to fame. That building, the’ Old School’, was no ordinary school around the corner, as it was born with a roar that would be heard as far as the Westminster Parliament. 1888 was a year of beginnings, including the founding of the National Geographic Society, Celtic FC playing its first official match, and the birth of John Painter, who would live to the 21st century and become the world’s oldest man. The Castleblayney townland of Annalitten celebrated its own ‘first’ with the opening of a National School. You might think that this local affair would hardly cause a stir, even in ‘Blayney. But events would prove otherwise. Soon after Annalitten NS opened, the RIC called on three local families. Leading Irish MP, Tim Healy, heard about the police visits. In May 1888, in the House of Commons, he questioned the Chief Secretary Arthur Balfour about the incident. Balfour replied that some children had been moved to Annalitten from the nearby mixed religion schoool. Three Catholic families kept their children at the mixed school. It’s believed that the local church was putting pressure on these families to send their children to Annalitten. The famililes were visited by the local police in order to establish the full facts. Annalitten being mentioned at Westminster is a great feat, but the central characters in the discussions make it even more special. They were both political giants. Arthur Balfour would serve as British Prime Minister from 1902 to 1905. Tim Healy would go on to become the first Governor General of the Irish Free State in 1922. 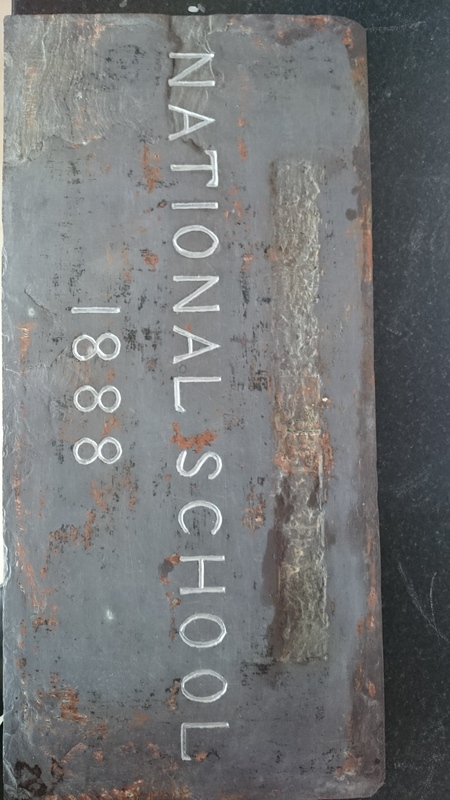 The ‘Old School’ at Annalitten was replaced by a new building, a short distance away, in 1965. The old building went on to serve as a community centre until it was demolished in the early 21st century, its longevity surpassing John Painter’s by just a few years. 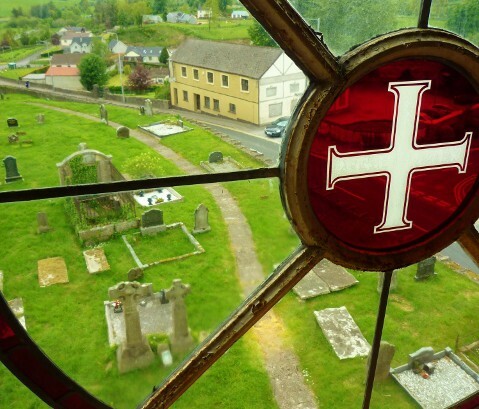 There is now a car park on the site, surely making it one of the most historic parking lots in Monaghan and Ireland. Road Funding for local and regional Roads in Monaghan for the year 2015 is €7.1 million, a reduction of over €4 million in four years. 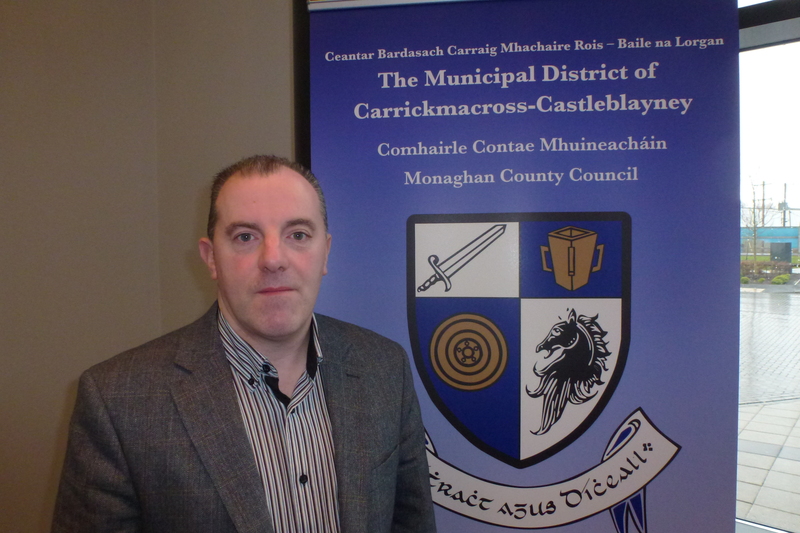 The issue has been discussed at recent meetings of Carrickmacross-Castleblayney Municipal District by the six Councillors, including PJ O’Hanlon. Councillor O’Hanlon told the Northern Standard he had been raising this issue continuously, but nobody in power seemed to be listening or did not want to listen. 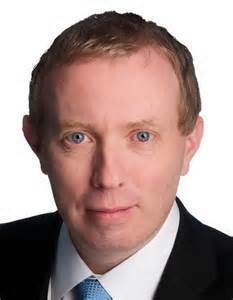 He said he had Parliamentary Questions asked in the Dáil by Brendan Smith T.D. and the response was that ‘this is your allocation for the year’. Councillor O’Hanlon said this was not acceptable and he believed public representatives had to fight to get further funding. “Our roads are in a deplorable state and if we are going to create local, indigenous jobs we need a proper road infrastructure. A survey is being carried out by the National Roads Authority in relation to the condition of the roads and this will be a waste of time unless we receive further funding”, he said. “People cannot understand why they are paying road tax and property tax, and then the road funding has been reduced. As a result of this I have arranged a public meeting for Thursday 30th April in the Glencarn Hotel Castleblayney at 8pm.The guest speaker will be Timmy Dooley T.D., spokesman for transport, tourism and sport for Fianna Fáil. However this is not a Fianna Fáil party meeting, it is a public meeting and is open to everyone in the county. It is important that politicians from all sides stand up and say enough is enough. We want a proper road network as we are paying road tax and property tax and the funding has been reduced, so please come to this meeting and help us in our cause to get additional funding for our local road network”, Councillor O’Hanlon concluded. 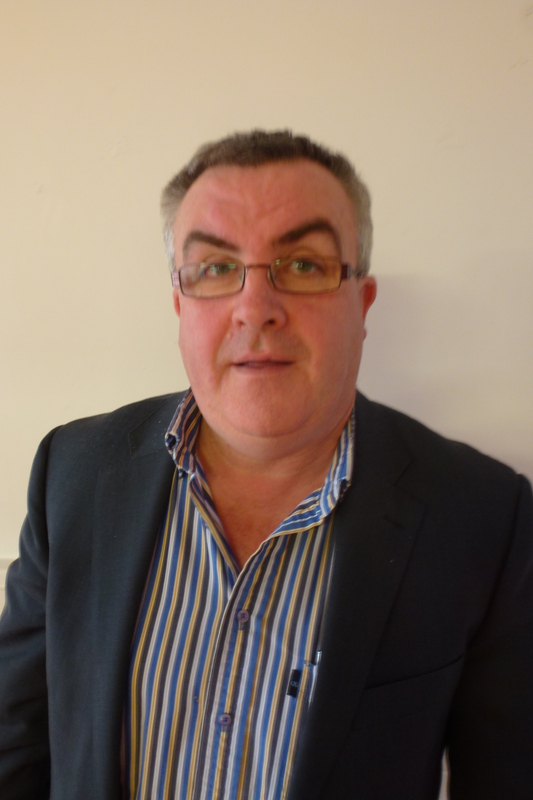 Moves to amalgamate library services in Monaghan and Cavan by the appointment of a joint librarian will be strongly opposed by Councillors in the Carrickmacross and Castleblayney area. A meeting of the Municipal District Council on Monday discussed a submission received by a Ballybay resident and member of the local library, who expressed her concerns over the issue. She said there was a real fear among members that if the proposal goes ahead then smaller libraries like the one in Ballybay would close. The library service is important to local communities on many levels, she told Councillors, and she asked them to contact Minister Alan Kelly to get him and his department to abolish the proposed amalgamation. Councillor Padraig McNally said they had been told the only proposal was to share the County Librarian between the two counties. But he said they did not need such a change as they already had a good system in place. He proposed that the District strongly objected to any amalgamation. This was the thin end of the wedge and next thing they would be looking at the fire service, he said. The county had already been stripped of so many services. “That this Municipal District rejects any amalgamation of our library services. Monaghan has a proud record of providing library services and does not need to be linked with any other counties or regions”. It was passed unanimously. Councillor Noel Keelan said ‘amalgamation’ was another word for cuts and proposed a motion: “That this District Council writes to the Minister, Mr Alan Kelly T.D., requesting that the proposed amalgamation does not proceed, given how important the Library Service is to the people”. Councillor Colm Carthy seconded and this motion was also agreed. 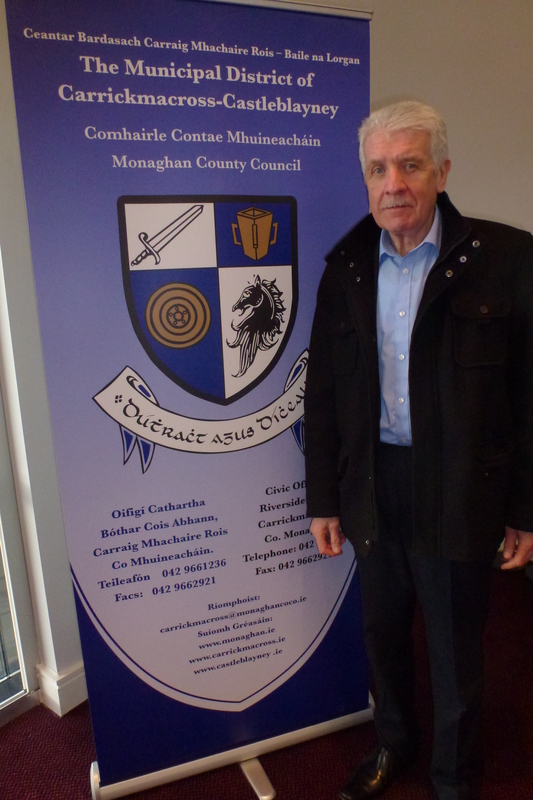 Cathaoirleach Councillor Jackie Crowe said they were all absolutely opposed to any amalgamation. It’s a busy week for local Fine Gael T.D. and Minister for the Arts, Heritage and the Gaeltacht, Heather Humphreys. When this reporter met her in Castleblayney on Monday morning, she had been on the road since 8.30am, leaving her home in Aghabog to start work at her constituency office in Monaghan by 9am. Her first public engagement was at the Íontas Centre, where she was the guest speaker at an event organised by Blayney Blades to celebrate International Women’s Day. In her speech she mentioned how important an influence her mother Emily had been and how two of her secondary school teachers had encouraged her to enter politics. She stayed for two hours, networking with a large group of women and passing on the welcome news that funding a network of 17 women’s groups throughout the country had been secured. Instead of taking lunch at the Centre, the Minister stayed in Castleblayney to meet a constituent before returning to her office in Monaghan around 1:45pm. She just had time for a small snack from a nearby café before heading off to Beech Hill College in Monaghan, where a woodwork room had been refurbished and equipment upgraded with the aid of a grant. She took the opportunity to speak to the principal and teachers as well as some of the students. After an hour at the College she returned once again to the Mall Road office at 3:30pm to carry out constituency work for three hours. By 7pm she was back home, taking the opportunity to do some packing for an official trip she is making to England this week. She is flying to London on Wednesday night and will be the main guest at a number of functions over the St Patrick’s weekend. On Friday evening the Irish ambassador Dan Mulhall hosts a reception at the Irish embassy and there will be a formal dinner to attend on Saturday night. On Sunday the Minister will join fellow Monaghan native Barry McGuigan at the head of the St Patrick’s Day parade in the British capital. The Minister’s third public engagement on Monday was at Magheracloone Community centre (near Carrickmacross), where she attended the AGM of the local Fine Gael branch. 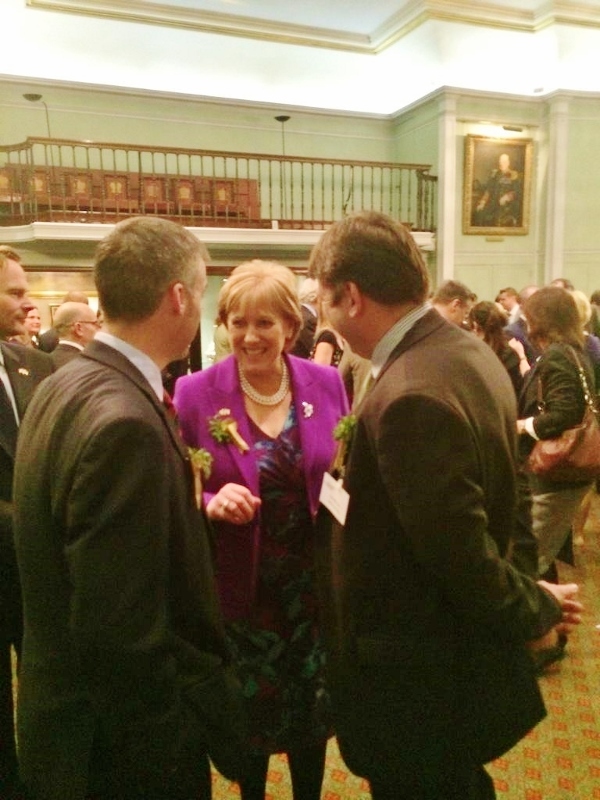 It was the first time in recent memory that a government Minister had been present. Over a welcome cup of tea at the end of the meeting, Heather Humphreys explained that the following day (Tuesday) her diary would be taken up with a Cabinet meeting in the afternoon and a meeting of the 1916 Commemoration committee (which is one of her responsibilities) that evening. Wednesday would see her answering questions in the Dáil. So after putting in a fourteen hour shift on Monday, it was time (10:30pm) for the Minister to return home. She told me she normally tried to keep Sundays free as a family day, a time she could enjoy with her husband Eric and their two daughters. She certainly has a busy schedule. Red nimble little body, tail bushy as could be. To examine his collection, then scamper a tree stump. He hid behind the swelling, upon the oldest tree. And somehow as I looked at him, he reminded me of me! A-scurrying through the branches of each day’s busy tree. I gave my all in ’59 – what happened to it then?? The fruit of all my scurrying, transformed by His faithful love? And gather up the nourishment I’ll be needing in the slump. When nothing seems to touch my heart, and my knees won’t bend with rust. And know again the certainty of God’s love for squirrels and me. 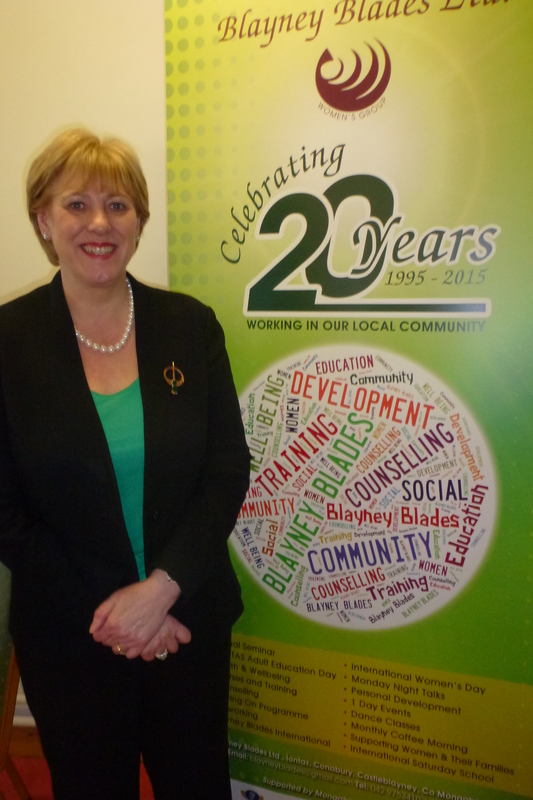 Minister for the Arts, Heritage and the Gaeltacht, Heather Humphreys T.D., said there was no better place to mark International Women’s Day than at Blayney Blades. This day is all about empowerment and positive action and this year’s theme is ‘make it happen’, she said. The Minister said she had taken part in a Fine Gael event last week to acknowledge women who ‘make it happen’ in their local area. She went on: “We all know inspirational women in our own walks of life. I have no doubt that you could all easily name a woman who has inspired you, who has encouraged and supported you to become who you are today. This room is full of inspirational women. 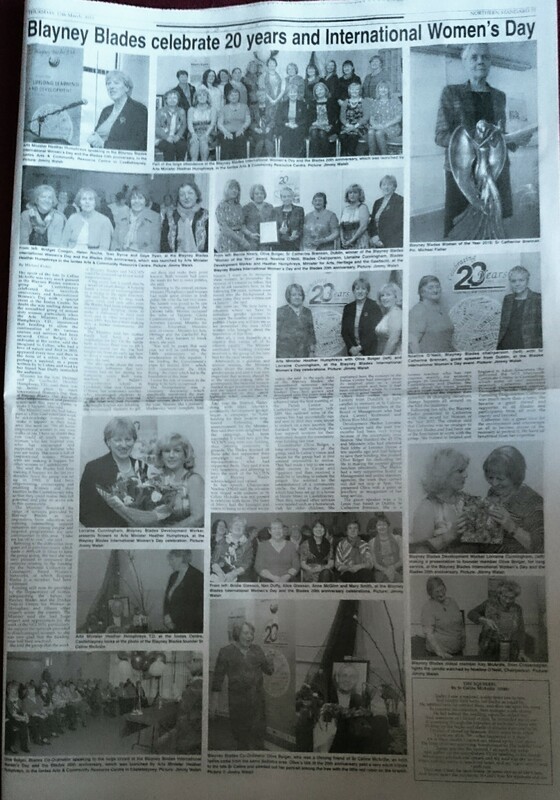 Women who are making it happen for other women in Castleblayney”. She said the Blades had been making it happen for the last two decades. Since the group was set up in 1995, it had been empowering, encouraging and enabling women and their families in the Castleblayney area, so that they could realise their full potential and play an active role in this community. The Minister described the range of services provided by Blayney Blades as very impressive; from education and training, counselling, support initiatives for young people and targeted programmes for new communities in this area. “I take my hat off to you”, she said. 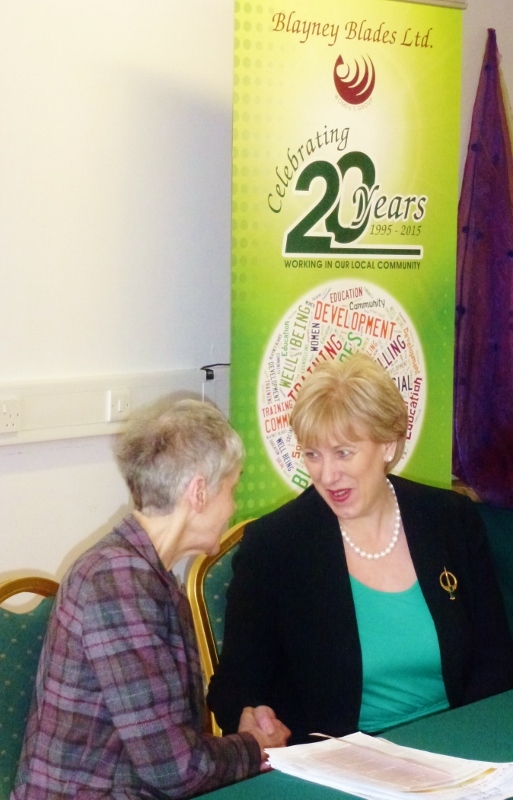 Referring to the difficulties over grant aid in previous years, which made it difficult at times to keep the group going, she said she was very pleased to announce that concerns relating to the funding for the National Collective of Community Based Women’s Networks, of which Blayney Blades is a member, had been addressed. Funding will now be provided by the Department of Justice, safeguarding the future of Blayney Blades and the Dochas Drop-in Centre for Women in Monaghan, and fifteen other projects across the country. The Minister said she had huge respect and appreciation for the work of the NCCWN, particularly the support the network provided to disadvantaged women, so she was very glad that the funding issue had been resolved. She told the group that the work of Blayney Blades and NCCWN could be summed up in one word: empowerment. A big word, but it could also be a series of small things. A helping hand; a word of encouragement; or a nudge in the right direction. She said that step by step, week upon week and year after year, the Blades had been empowering women and helping them to make a difference in their own lives and in other people’s lives since 1995. You have been making this a better community, she added. The Minister said her mother Emily had been a great inspiration for her. On the family farm at Drum there was no job a woman could not do. She had taught me from an early age how to drive a tractor and to milk the cows, she said. She also spoke about the very important influence that two women had on her during her formative years. Both were teachers at St Aidan’s comprehensive school in Cootehill. One was Geraldine O’Brien, her economics teacher, who encouraged students to stand up for what they believed in. The other was Joan Hannon, who taught English and debating. She encouraged students to get out there and make their point known. Both women had sown the seeds for her to enter politics, she said. Referring to the overall picture, Minister Humphreys said women had made great strides in Irish public life over the last two years. She herself was proud to be one four women sitting around the Cabinet table. Women occupied the roles of Tanaiste, Garda Commissioner, Chief Justice, Arrorney General, Minister for Justice, Education Minister and…of course….Minister for Arts, Heritage and the Gaeltacht! But we still have barriers to break down, she said. “You will be aware that next year, we will be celebrating the 100th anniversary of the proclamation of this republic. I am leading the Government’s plans for Ireland 2016 – which will commemorate the 1916 Rising – the event which led to the foundation of this State. I want the role of women in the Rising to be fully recognised. The Proclamation was a visionary document which specifically mentioned the men AND women of Ireland, at a time when women didn’t even have the vote. Women like Constance Markievicz were complete trail blazers. I want us to recognise these women, to remember the bravery of Cumann na mBan, but also to ask ourselves how, in the following 100 years, women were forced into the background. In some cases, they were written out of history”, she said. She went on: “We now have a situation where we have to introduce gender quotas to increase the number of women in politics. I hope you will join me as we remember the men AND women who brought about the foundation of this State. After all, a true Republic is a country that values all of its citizens equally”. The Minister concluded by wishing everyone involved in the group all the very best for the next twenty years. Afterwards in a question and answer session, the Minister spoke about the need for the gender quota and said it was very important that women should be at the decision-making table in government. She believed women needed to get involved in politics and she urged some of them to come forward so they could highlight what needed to be changed. Last year the Blayney Blades along with other women’s community development groups began a campaign to have funding for their projects ring-fenced. 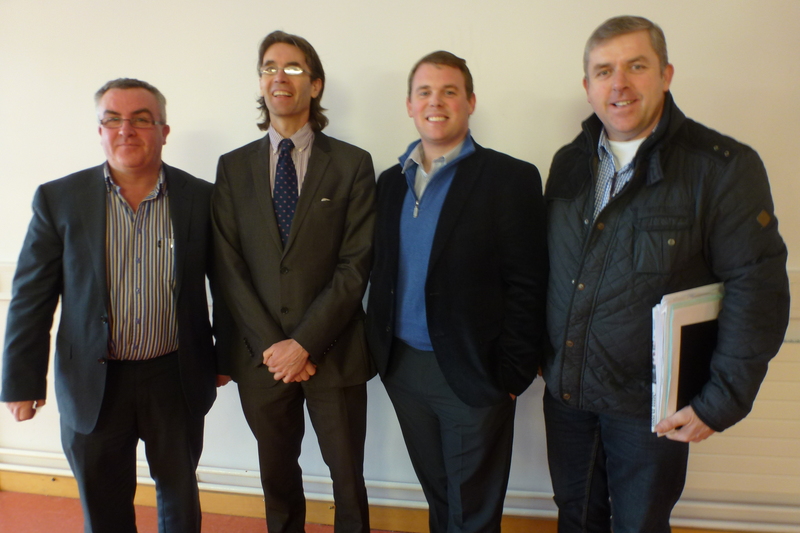 Following the announcement by the Minister, they said they were delighted that the campaign had been successful. It would now give the NCCWN long-term core funding, thus offering continuity to projects. The Blades thanked all those who had supported their campaign and the local representatives who had supported them. They said it was very heartening and affirming to have the work of the NCCWN and Blayney Blades acknowledged and valued. In her speech, Chairperson Noeline O’Neill said the occasion was tinged with sadness as Sr Celine McArdle was not present to celebrate with them. The Sister of Mercy had the foresight and vision to bring us to where we are today, she said. In the early days of the Blayney Blades, she remembered someone asking them if their group made razor blades! 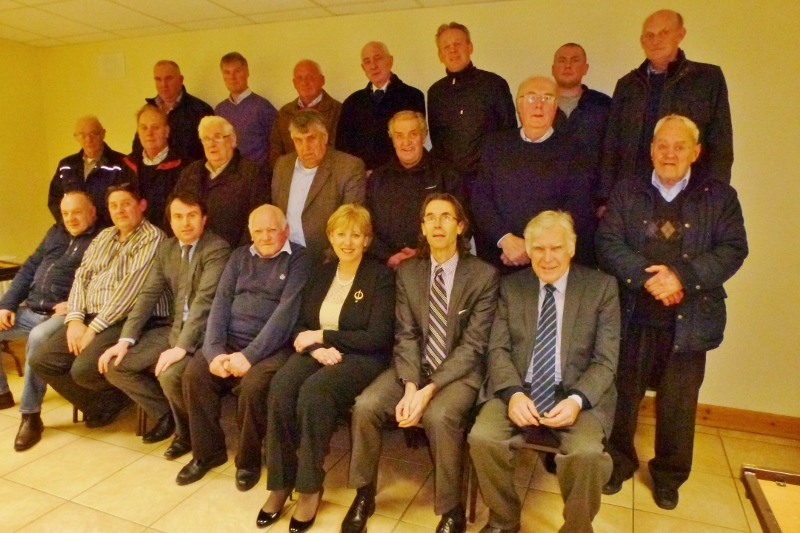 They had grown and developed over the years and she outlined the various stages achieved since the first meeting at the Parish Centre in Castleblayney on January 16th 2005. She outlined some of the courses hey had successfully run and now in 2015 they were about to embark on a new journey. She thanked the staff including the four support workers for their dedication despite the uncertainty over funding last year. Co-ordinator Olive Bolger, a long-serving member of the group, said Sr Celine’s vision and dream for the group had at first seemed impossible to realise. They had made a trip to see some other centres in Cavan and Tipperary and then received a small bit of funding to initiate the project. She referred to the establishment of a community crèche, the first in the county, which had been set up in a house at Henry Street in Castleblayney. Then they realised other services were needed such as a homework club for older children. She explained how the concept of the Íontas Centre had emerged from its original plan as a small resource centre and how it had been established while Sr Celine was still in good health. Olive then called on Rose Laverty from Dundalk to light candles in memory of Sr Celione and two former members of the Board of Management who had died, Carmel Redmond and Olivia Rice McCarron. Development Worker Lorraine Cunningham said the past few months had been very trying because of the uncertainty over finance. She thanked the 43 TDs and Ministers who had attended their lobby at Leinster House a few months ago and had helped to save their funding. She praised Olive Bolger for dedicating her life to making the support group function effectively. The Blades had a very supportive Board of Management and unlike statutory agencies, the work they carried out did not stop at 5pm. She presented Olive with a piece of jewellery in recognition of her long service. The guest speaker was a St Louis nun based in Dublin, Sr Catherine Brennan. She is a former teacher, who has run courses mainly for women’s groups in Inniskeen, Dundalk, Castleblayney and Dublin. She spoke about the inner journey people must make to understand themselves and the explore their potential. In changing ourselves, change happens all around us, she told the audience. Following her talk, the Blayney Blades presented Sr Catherine with their award for Woman of the Year 2015. The citation said that Catherine was no stranger to Blayney Blades and had been one of the first tutors to work with the group. She trained in Ireland and England in Adult Education. She delivered the NUI Maynooth Certificate Course in Counselling, which some of our members received. Catherine delivered Personal Development courses, Ennegram, Myers Briggs and Parenting Programmes. Catherine was much more than a tutor. She became a great friend and supporter to all Blades and participants from all over the county and beyond. Catherine has a great love for the environment and encourages us all to become aware of the necessity to protect it. We have all benefitted from her expertise. 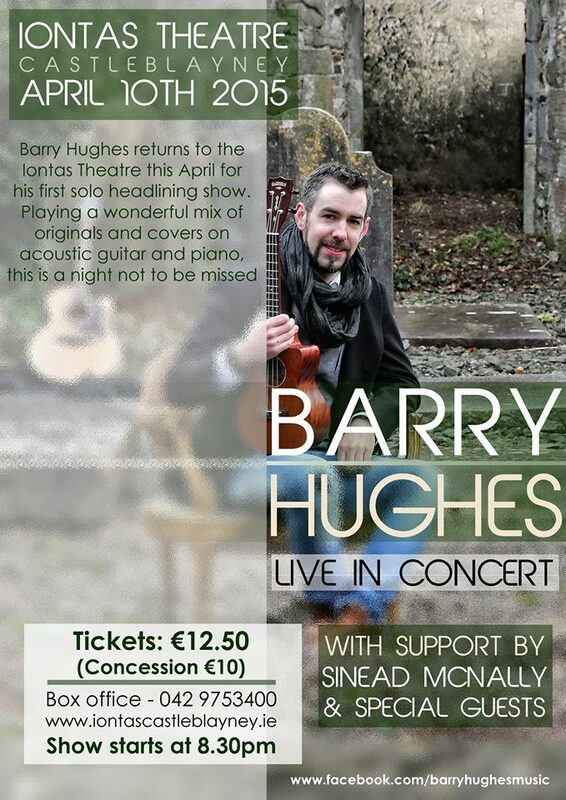 Fresh from his appearance on TG4 and some well-earned praise from one of the judges Síle Seoige, singer/songwriter Barry Jay Hughes from Carrickmacross is bringing his acoustic show to the Íontas Theatre in Castleblayney next month. He will be launching his new EP “This Way Up” at the venue on April 10th. The new release was recorded and mixed in Westland Studios Dublin in the last few months with the help of engineer Alwyn Walker. Westland Studios has seen its fair share of famous faces down through the years. Def Lepard, Bryan Adams, Hozier, Sinead O Connor and Thin Lizzy are among the names on their client list. For those who have not yet heard this young County Monaghan artiste, next month’s event is a perfect opportunity to witness his great potential. 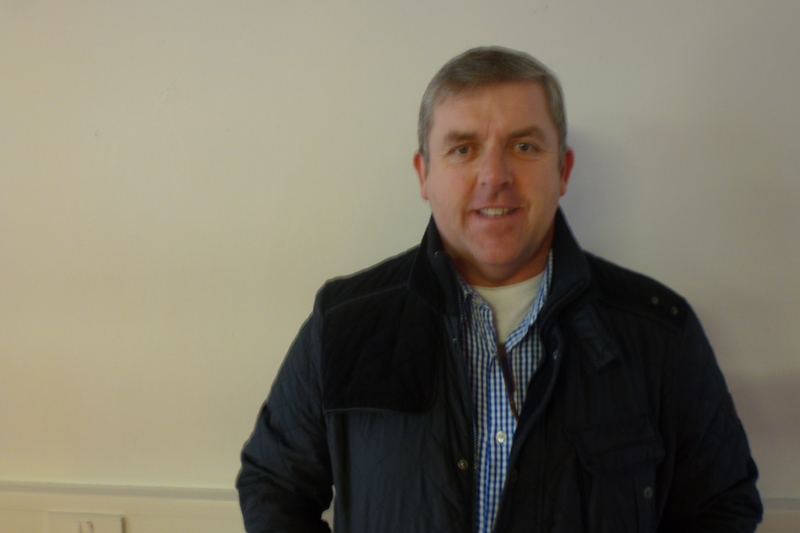 Barry has been a keen musician from a very young age and in recent years decided to concentrate full-time on his music career, after spending over thirteen years working in the hospitality industry. Barry is currently preparing for the launch night at the Íontas Theatre and promises us a great show, with support by Sinead Mc Nally, a well established songwriter and performer from Knockbridge, Co. Louth, who has many musical achievements under her belt. Barry will also be joined by percussionist extraordinaire Nick Bailey who has worked with shows such as Celtic Woman, Riverdance and collaborated with Kelly Clarkson. Barry told The Northern Standard that the show will be a pleasant mix of high energy performance with heart and soul as well as some laid back and “chilled” moments and above all he guarantees a great night’s entertainment. The show will cover many genres and will appeal to all musical tastes showcasing Barry’s new material as well as some much loved covers. He added that he is very much looking forward to meeting all his fans and friends on the night. “This Way Up” is a collection of songs penned by Barry himself along with a cover of Georgie Boy, a song that was written and released by Jack L back in 1999. Another track which found its roots back in 1999 is “Judgement Day” which features on the new EP. Barry says it’s a song he is delighted to have recorded after writing it almost sixteen years ago. The EP is predominantly Pop–Rock in sound, with subtle elements of traditional and folk music. Tickets for The Íontas Theatre Show are available at www.iontascastleblayney.ie or by calling +353 (0)42-9753400. For further information on Barry Jay Hughes and details of his upcoming gigs, log on to: www.facebook.com/barryhughesmusic.